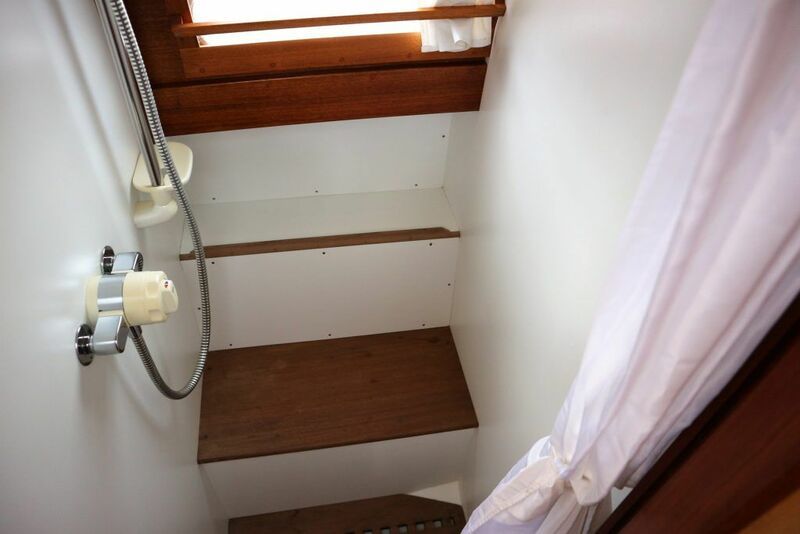 LOA (Metres/Feet): 10.67m / 35' 00"
Draft (Metres/Feet): 0.69m / 02' 03"
Beam (Metres/Feet): 3.23m / 10' 07"
Air Draft (Metres/Feet): 1.98m / 06' 06"
ERNEST COLLINS 35 REPLICA – 2002 – Nanni 4.150HE 37.5hp diesel engine. 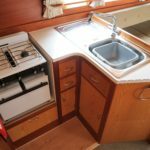 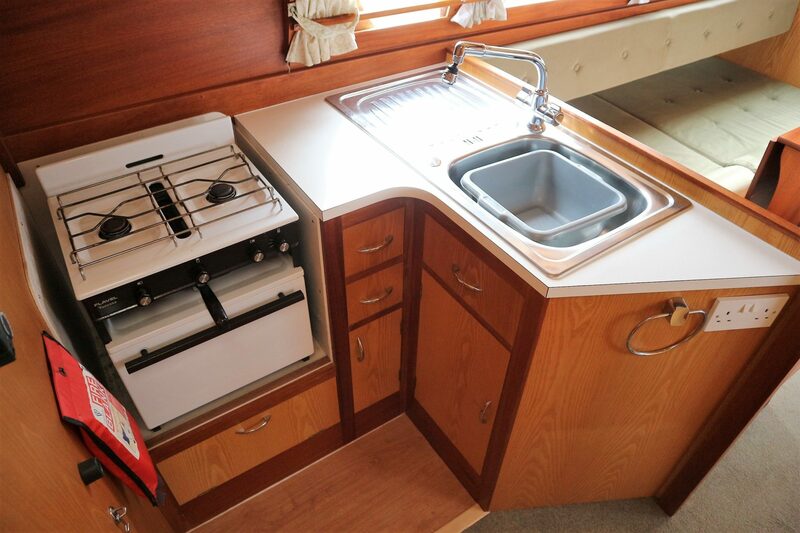 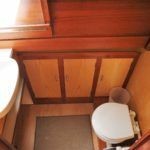 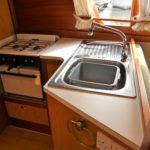 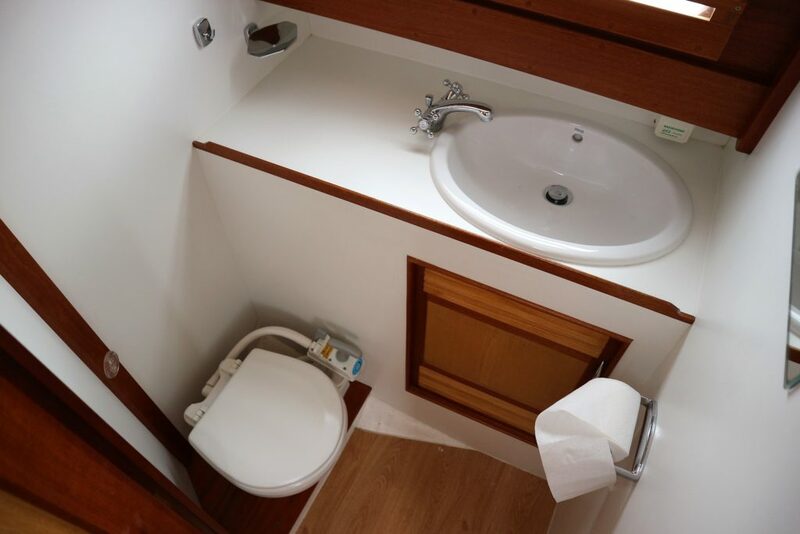 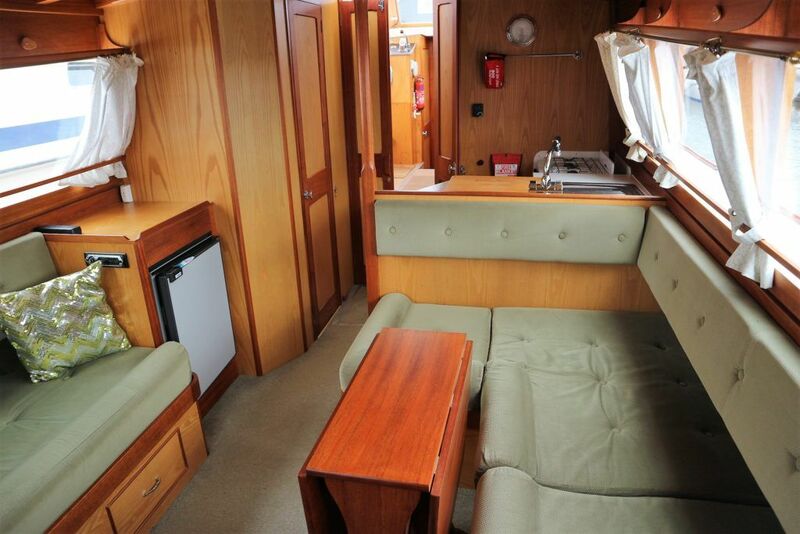 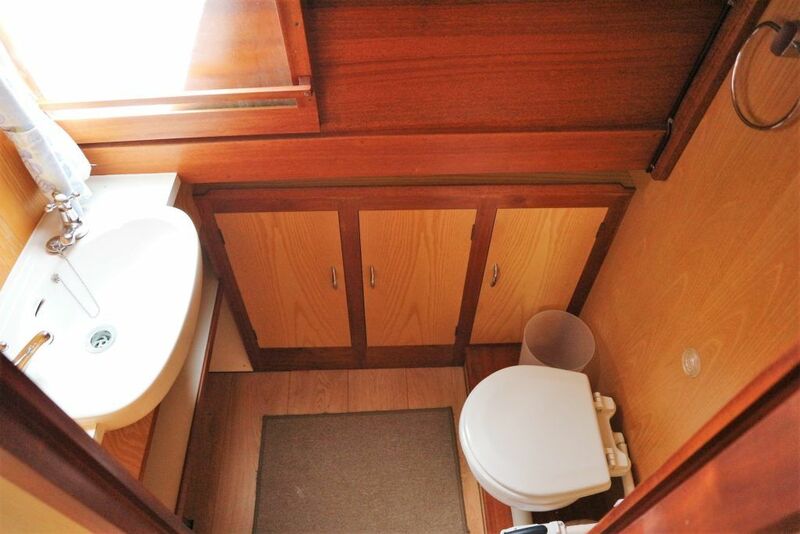 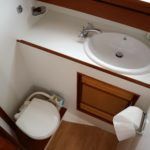 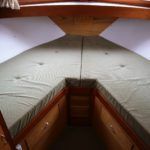 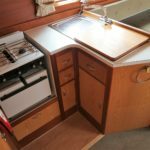 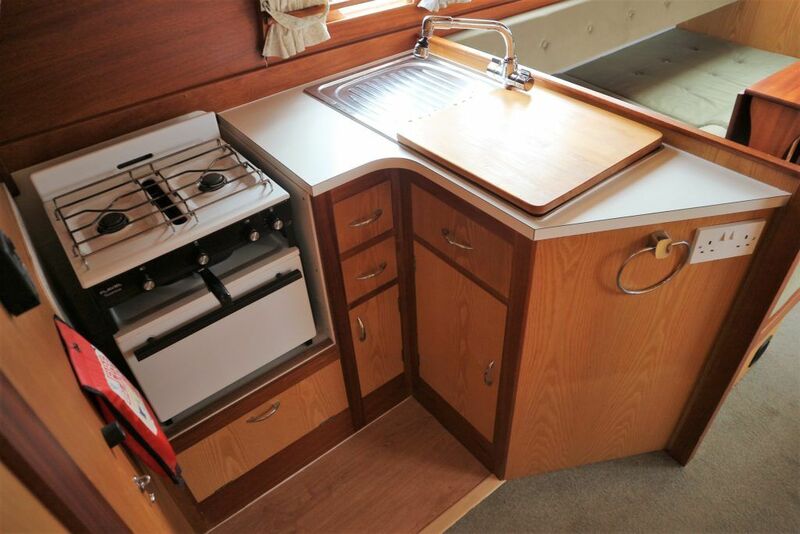 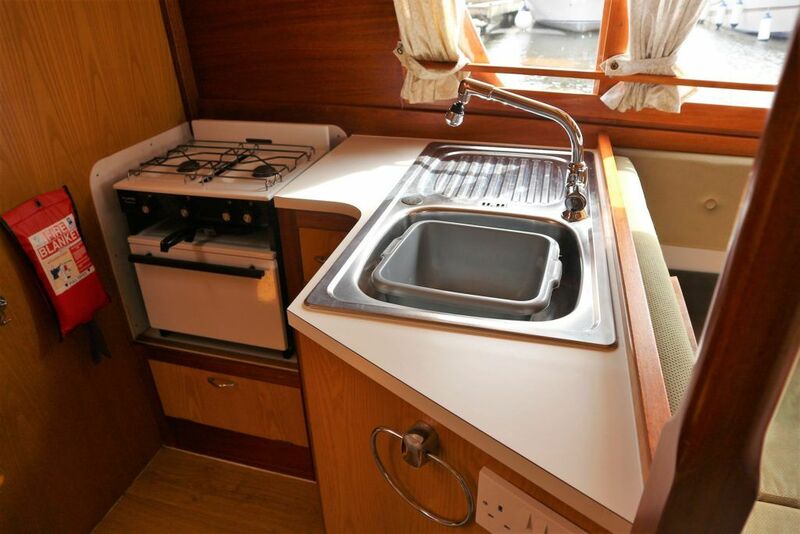 4 berth accommodation with 2 toilets compartments and separate shower. 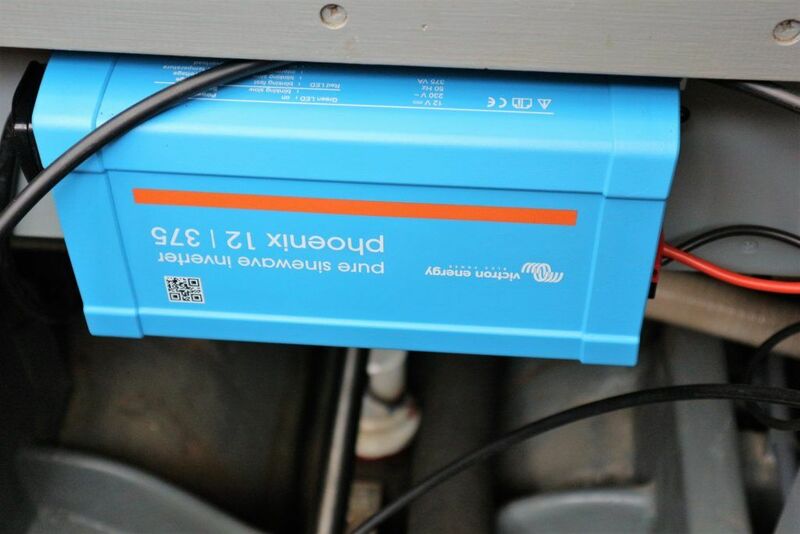 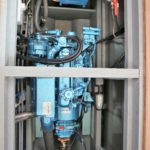 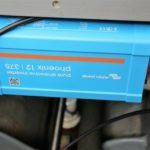 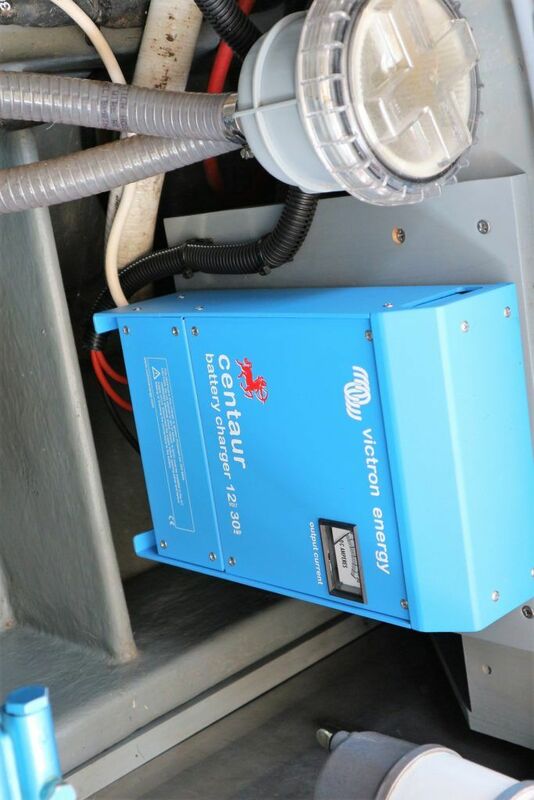 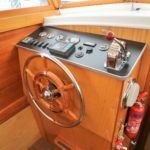 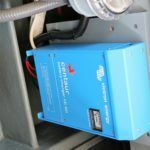 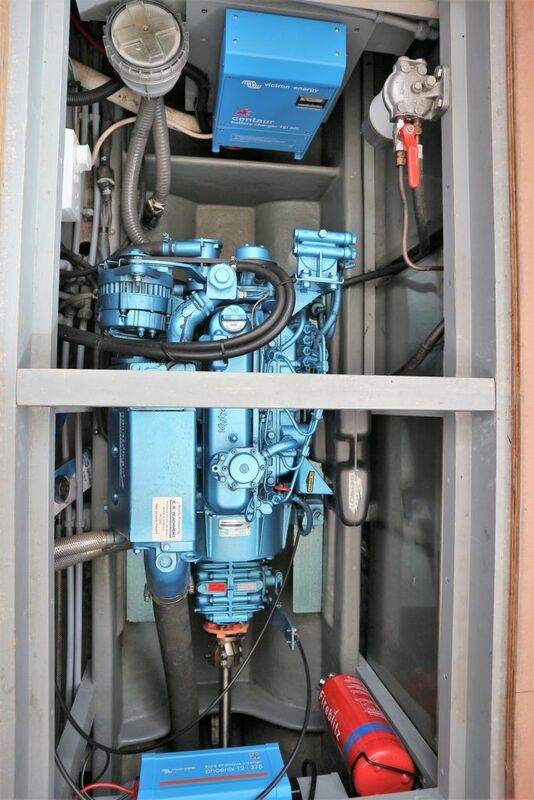 Specification including bow thruster, shore power, battery charger, inverter, immersion heater, warm air heating, speed log. 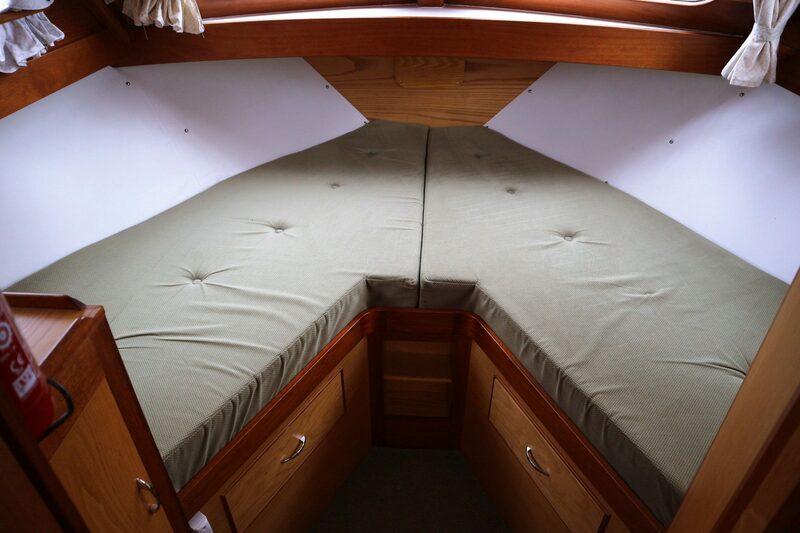 BSC 07/21. 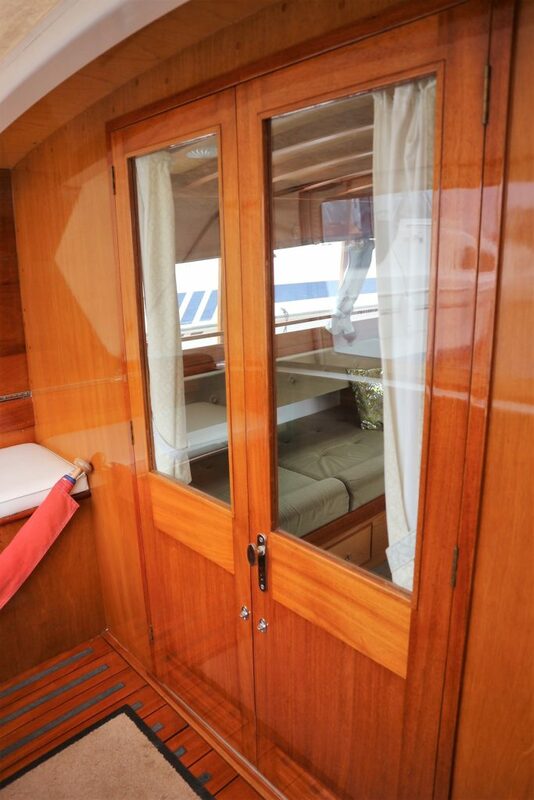 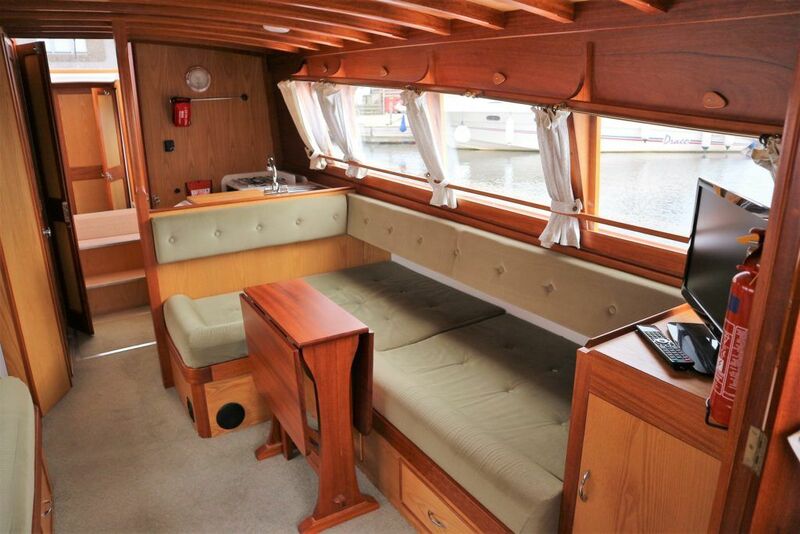 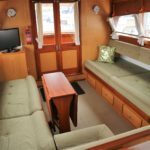 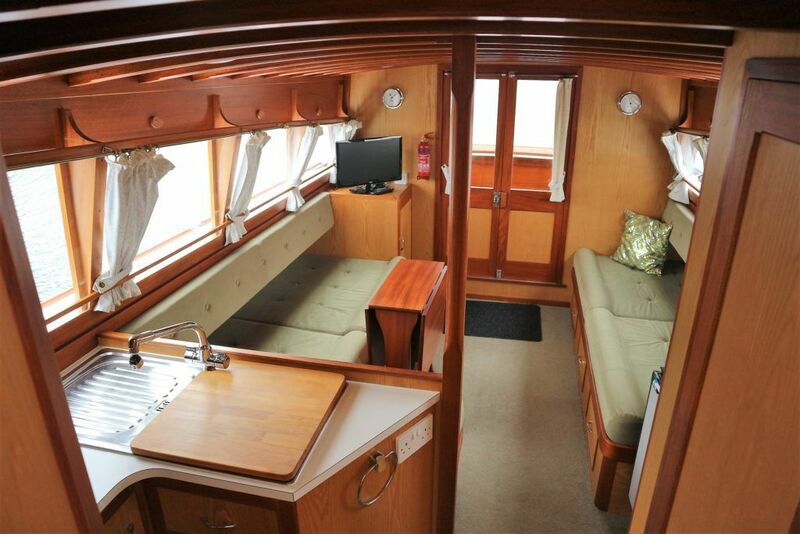 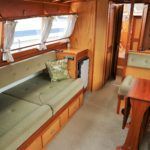 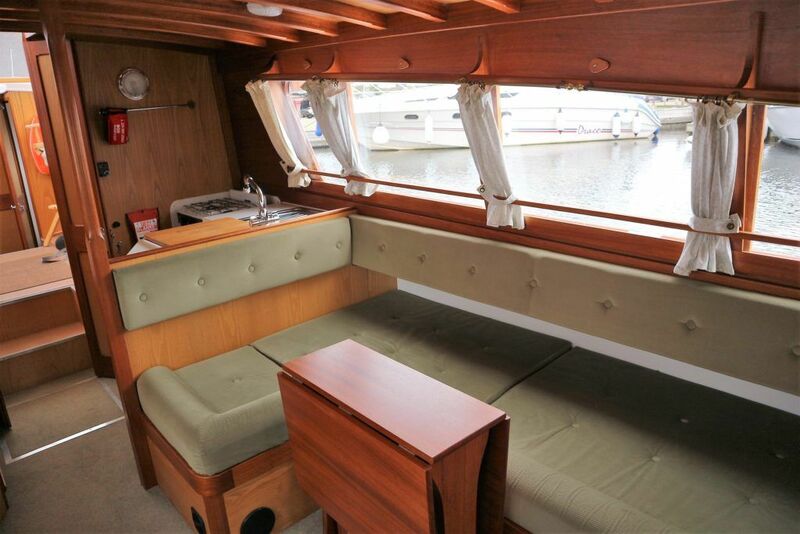 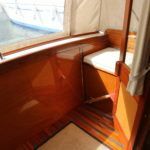 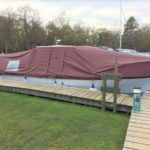 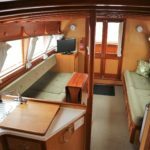 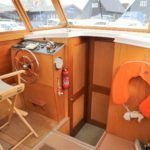 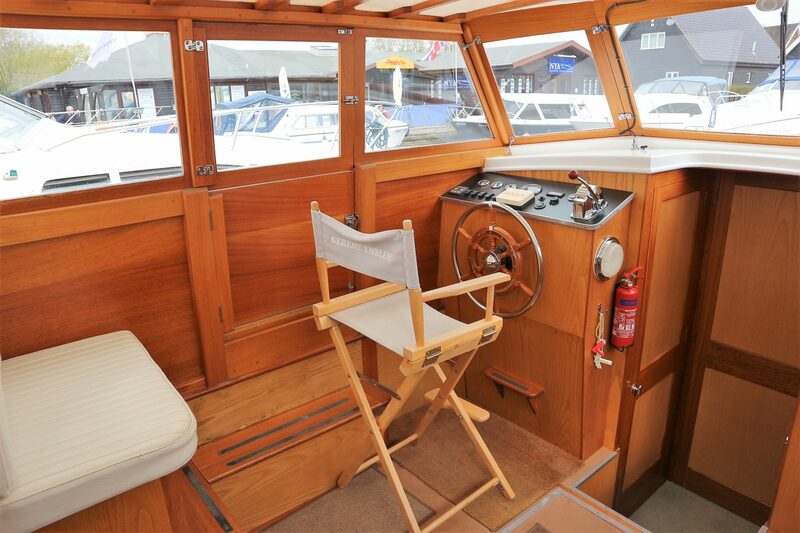 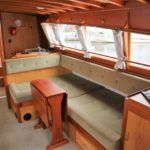 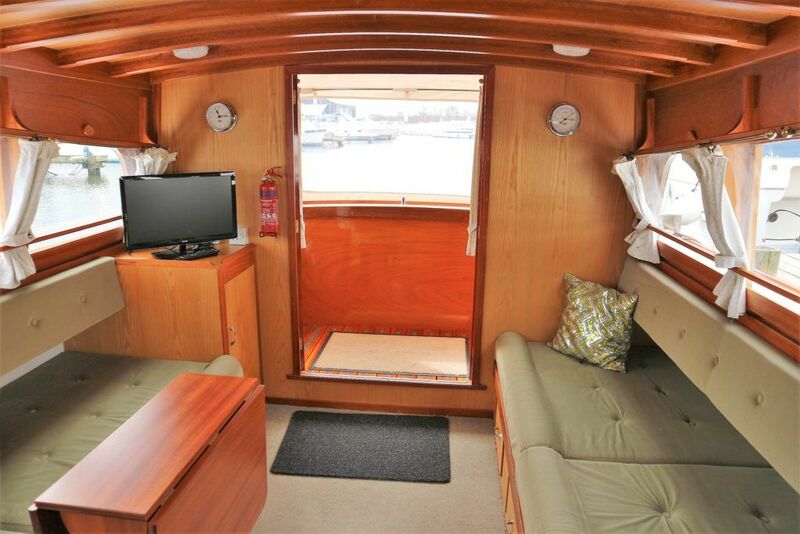 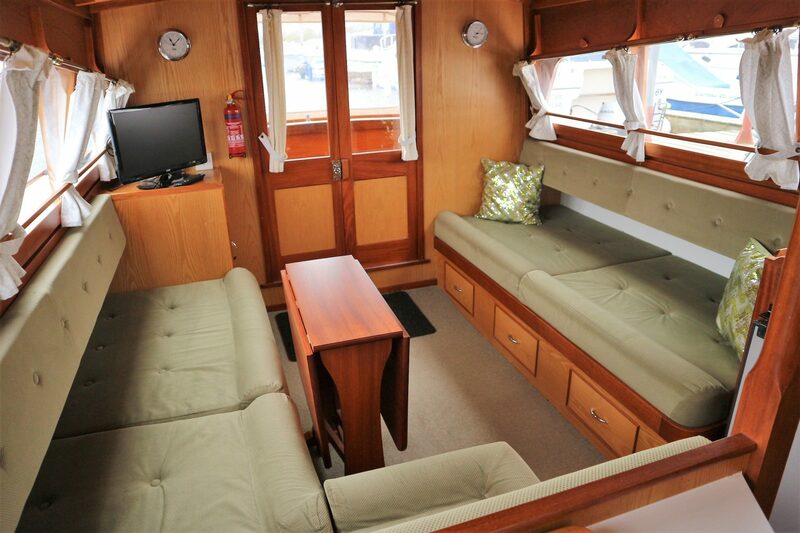 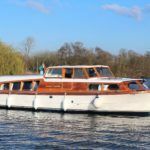 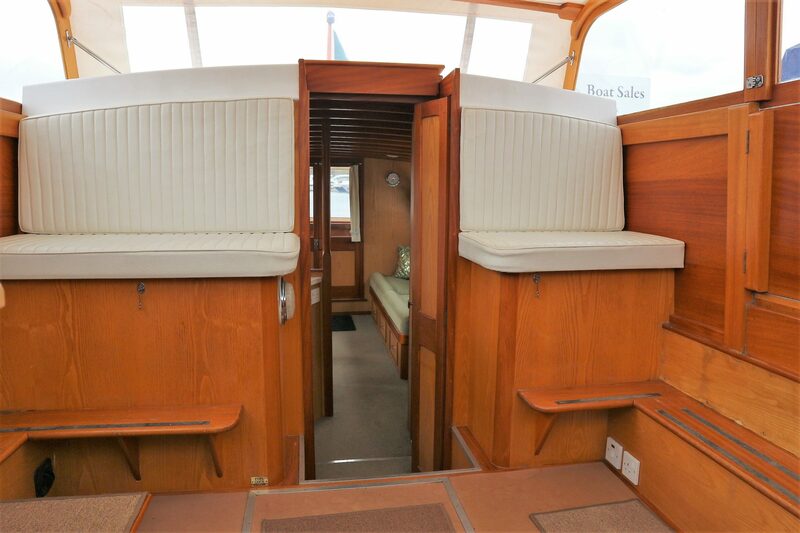 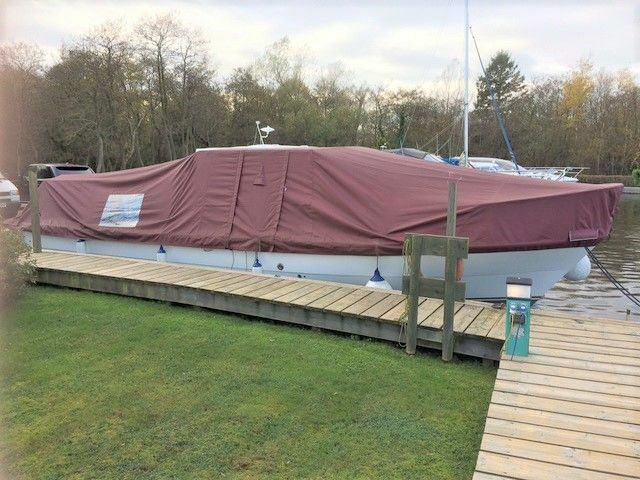 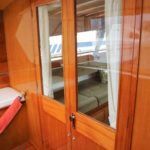 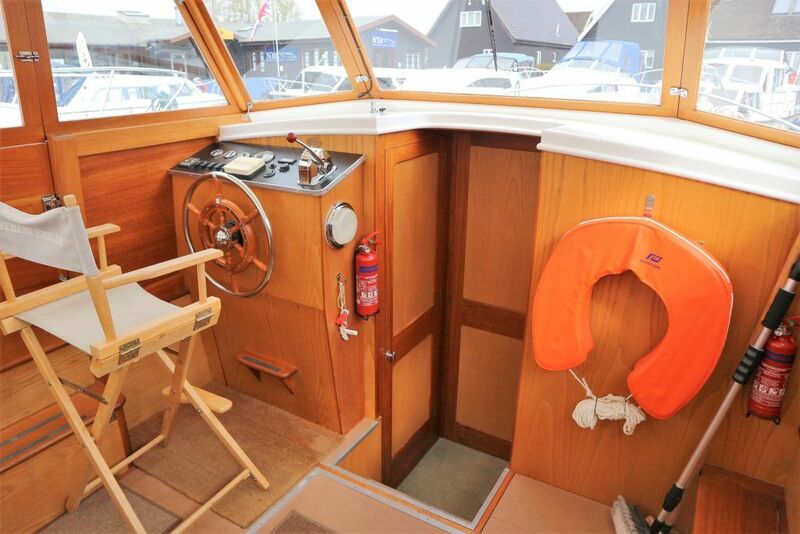 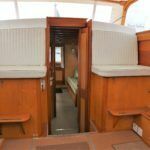 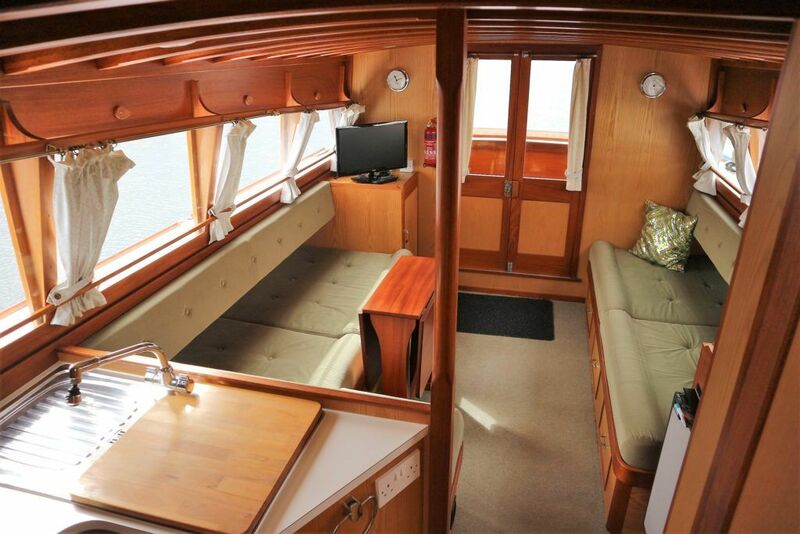 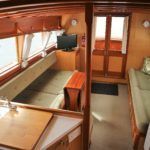 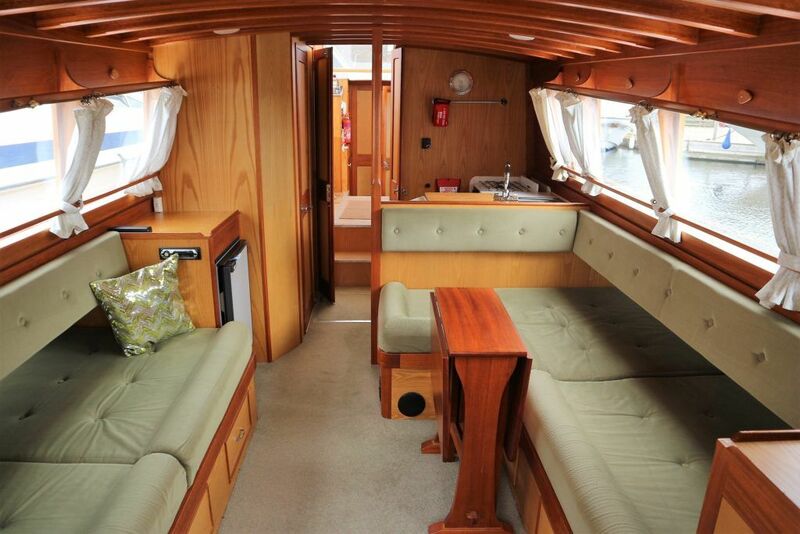 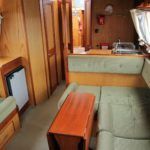 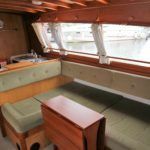 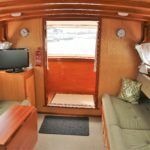 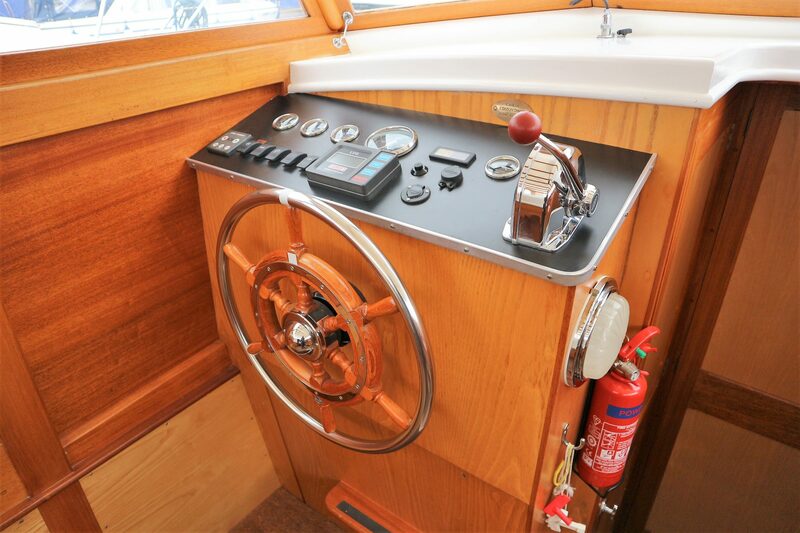 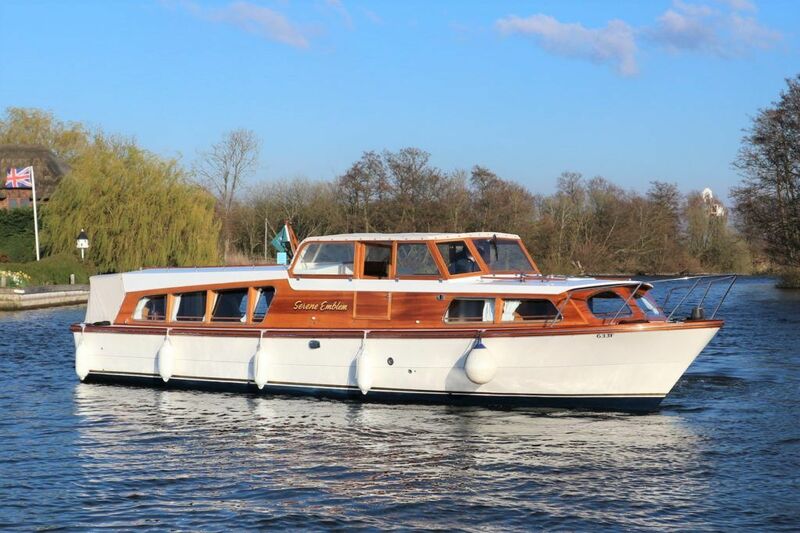 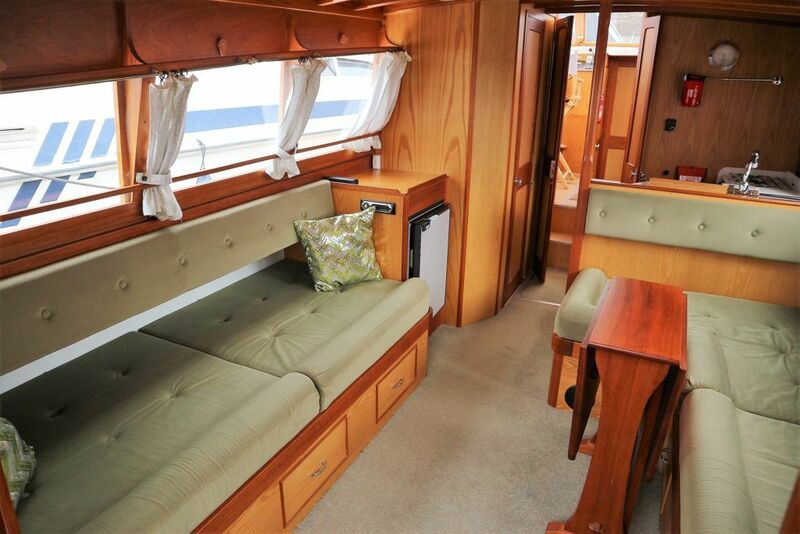 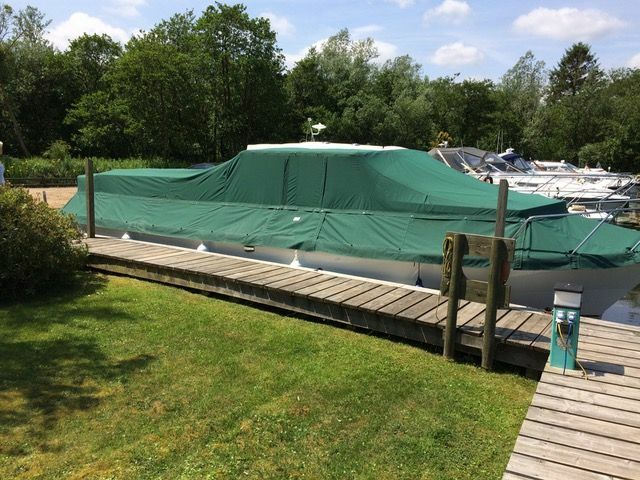 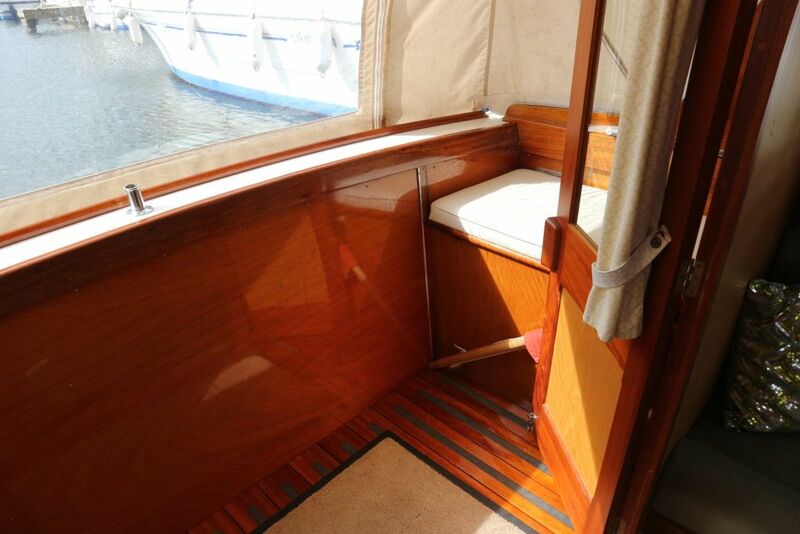 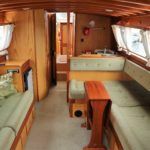 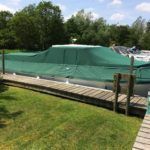 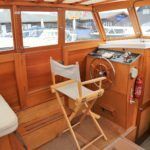 Built on a Sheerline 1070 GRP hull with a solid Mahogany superstructure this stunning craft benefits from the charm and character of a classic Broads cruiser tied with the conveniences and lower maintenance of a modern boat. 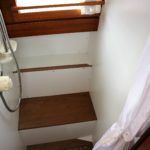 Air Draft (Feet): 06' 06"